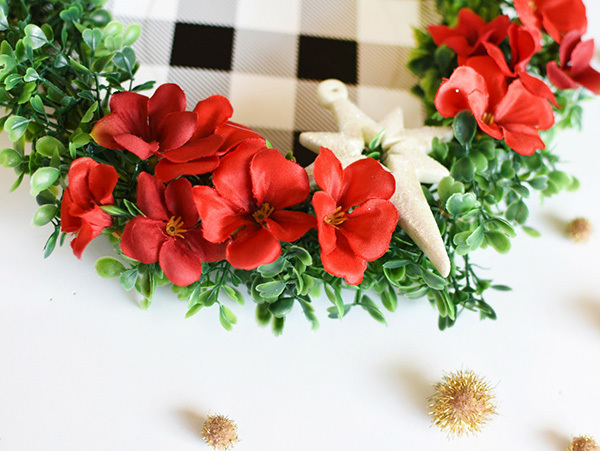 The first thing many people do when decorating their home for the holidays or winter season is to hang a wreath in their home or on the front door. 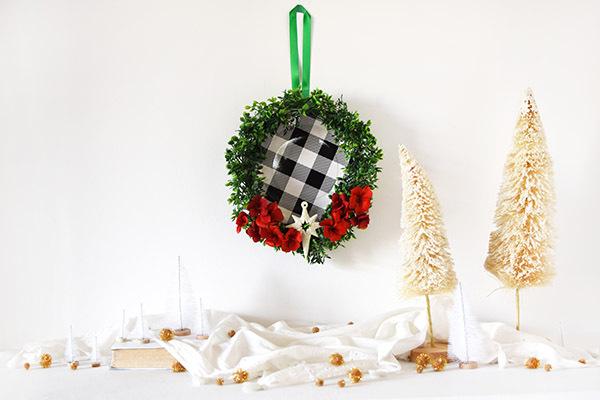 Today, I partnered with Oriental Trading to share a super fun Black and White Buffalo Check Holiday Wreath using a simple PAPER PLATE! Yes, you heard me right! 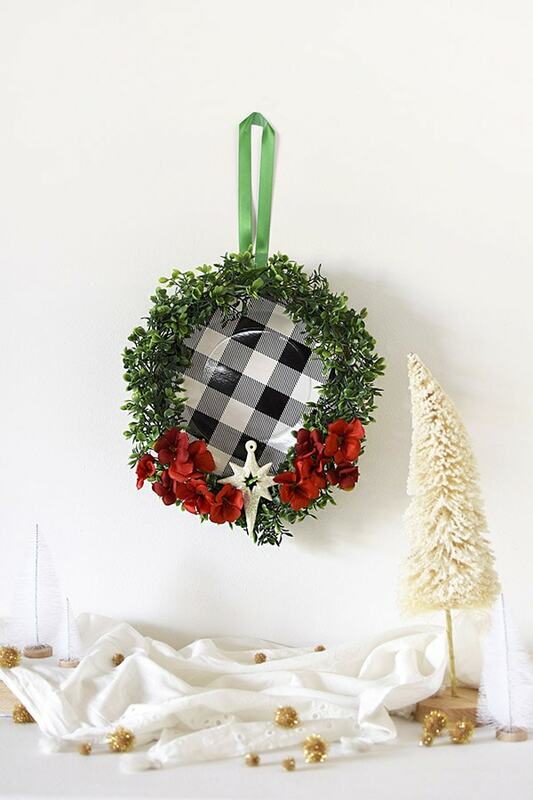 It is the perfect way to bring the ever classic buffalo check into your decor, but for a fraction of the cost. 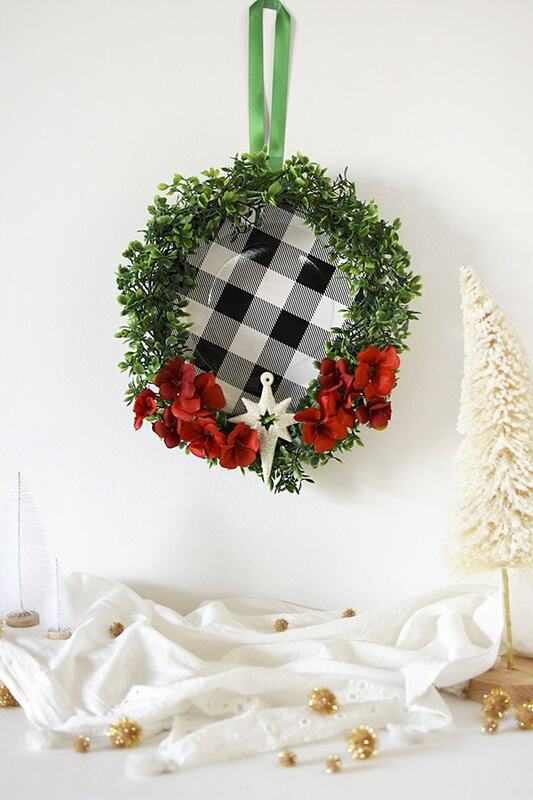 What supplies do I need to make a Black and White Buffalo Check Holiday Wreath!? Be sure to head over to Oriental Trading’s Fun365 site to see my full tutorial post and the complete supply list for this awesome holiday wreath. Not only do I just adore these black and white buffalo check plates, but I am very taken with the white glittered star ornaments, too. And then I set out a few gold pom poms and Oriental Trading’s cream frosted bottle brush trees and white mini trees. I love how the cream trees bend a little… I’m not sure if it’s on purpose or not but I think they are quite charming like that. 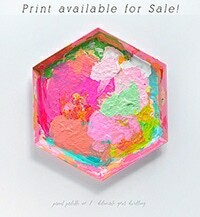 If you are looking for a fun craft to bring some holiday color and charm to your home, be sure to head to Oriental Trading’s Fun365 site for more information!